Just when most of us in California were getting used to the current 2010 building codes, they go and change it on us! Well, guess what? The 2013 California Building Codes were introduced and set to begin January 1, but they were pushed off until July 1. It looks like that date is going to hold. 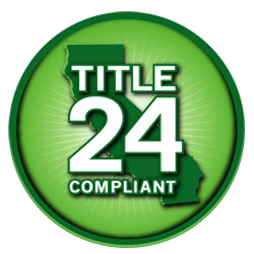 All projects that are submitted for building, plumbing, electrical, and mechanical permits after July 1, 2014, will be required to comply with the 2013 California Code of Regulations, Title 24. This Code is the Building, Residential, Electrical, Plumbing, Mechanical, Energy, Green Standards, and Reference Standards codes. These codes can be found on the State of California’s website. Unlike the cycle change from 2007 to 2010, this change is massive. A new numbering system and multiple code changes will result in a significant impact on all of us. These changes will be approximately 27% more stringent than the previous Title 24 Code. The cost impact to build to the new code is an average of $3,479 for a single-family dwelling and $2,569 per unit for multi-family dwellings using the performance approach. You may want to start asking your energy analyst about the most cost effective way to comply. Over the next few months, make sure you are verifying all quotes from your suppliers and subcontractors are up to the current code. This will not only limit your liability, but keep your costs down. For more information, visit www.bsc.ca.gov and www.energy.ca.gov/title24.